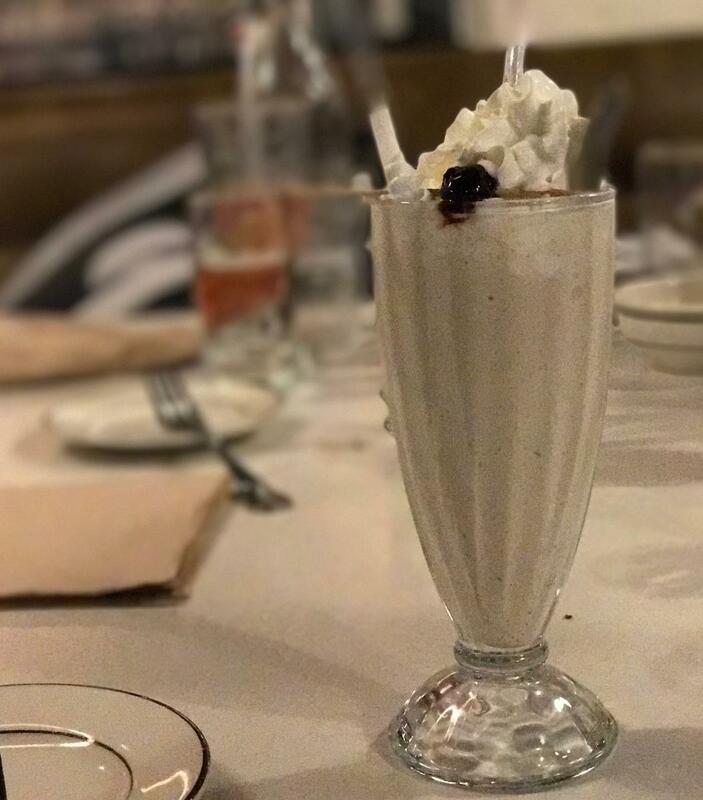 Craving Boston contributor, Elisha Siegal, teased the opening of Mamaleh’s back in the spring in his Jewish Deli roundup, and then seriously teased our tastebuds again with the recipe for Bourbon Milk Punch from co-owner and bar manager, Evan Harrison. 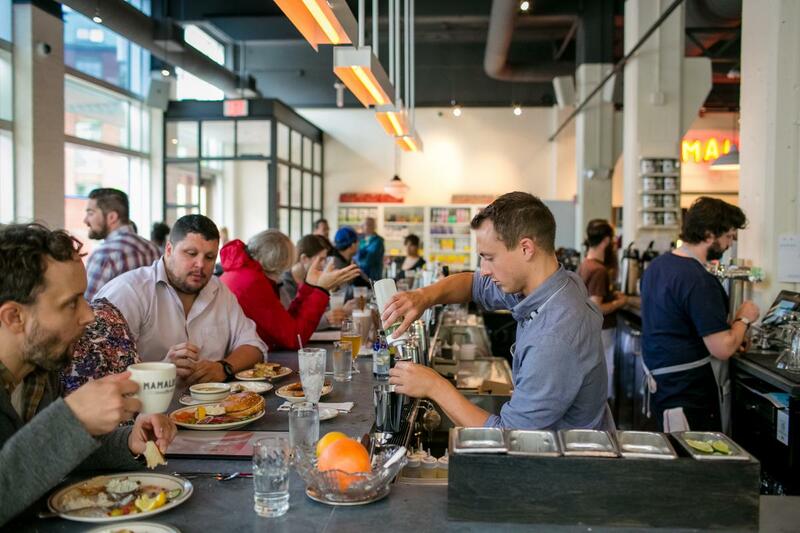 Now, Mamaleh’s ownership team, which also runs State Park, is killing it with their duo of unique Kendall Square hot spots. Mamaleh’s originally piqued my interest because I saw some of my favorite words in the English language, “All-Day Breakfast.” But when I saw their lunch and dinner menu my attention went from homemade bagels ($2) and babka French toast ($9) to the smoked mushroom Reuben ($12) and NY-style cheesecake ($5.50). 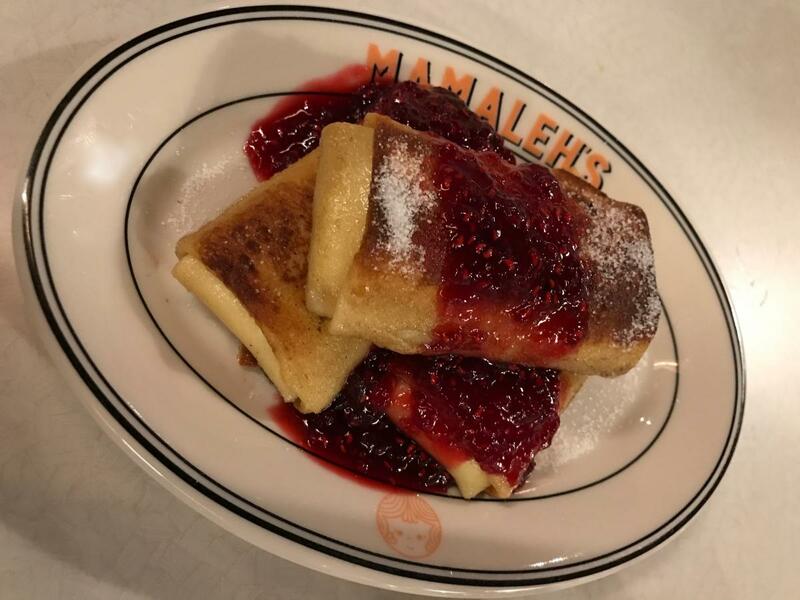 I wanted all the things, which is totally possible at Mamaleh’s. 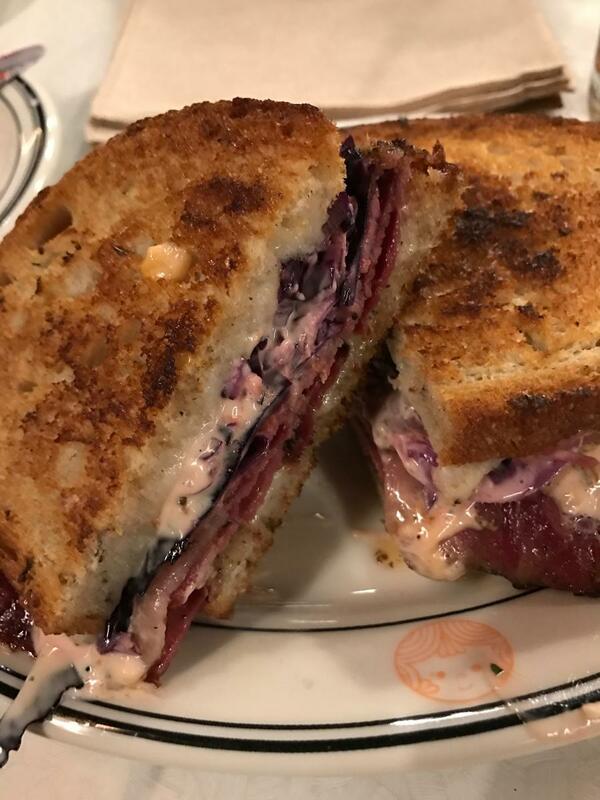 Yes, they’re serving traditional Jewish delicatessen fare, with thoughtful modern updates, but you don’t need a forklift to eat your sandwich. While the food is quite comforting (as are the prices), the focus is on quality rather than quantity. They’re not serving mile-high sandwiches that could feed four people, and you’re not paying outrageous prices — that’s a really good deal if you ask me. 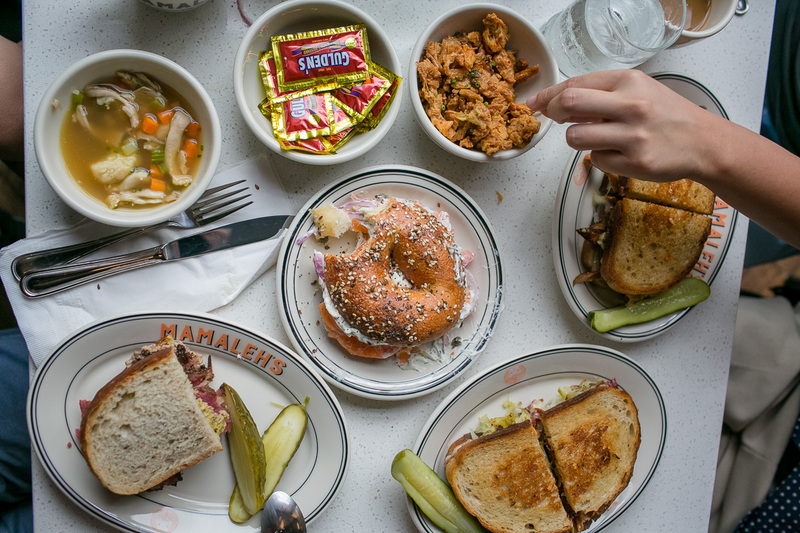 This concept shows in the cured meats and fishes, which you can also buy deli-style at a counter built for take-out, and in the quality of the knish ($4/6) and Nana’s noodle kugel ($6) – officially my newest obsession. With so many tempting options (did I mention they serve the freshest blintzes ($10) I’ve ever tasted?) 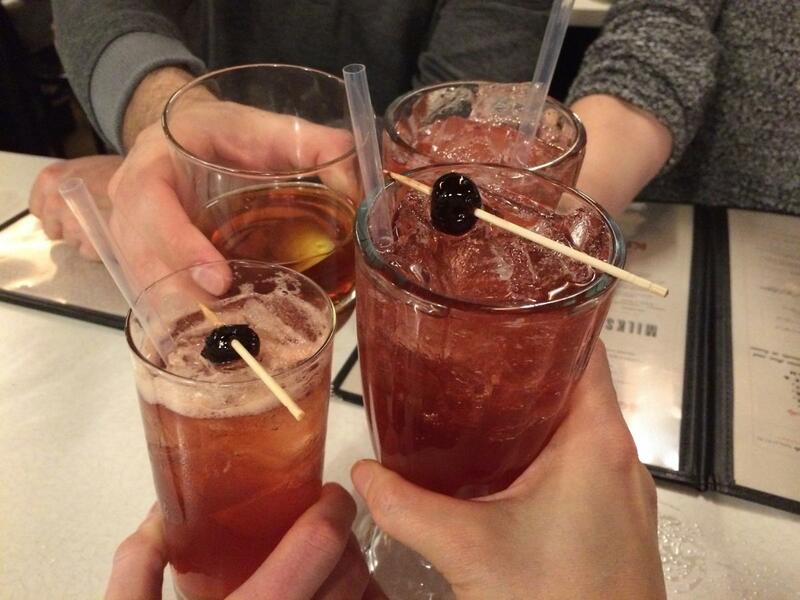 it’s hard to choose between breakfast, lunch and dinner. So why choose when you can have all three?